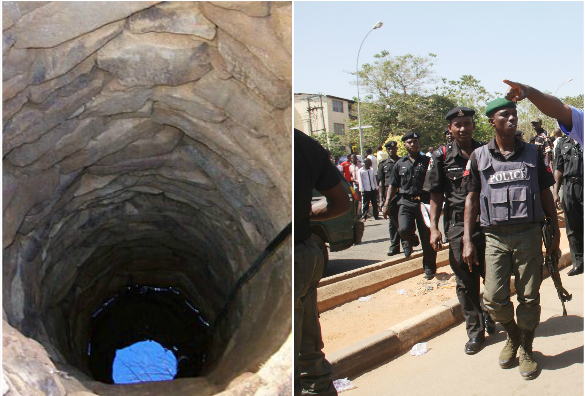 A 20-year-old house wife, Aisha Isah is presently in police net in Nasarawa State for allegedly throwing her two step daughters into a well. The Police Public Relations Officer of Nasarawa State command, DSP Kennedy Idirisu said the step daughters, Zainab, 4, and Baaba, 2 were said to have been allegedly thrown into the well following a disagreement with the children’s mother. Idirisu said the suspect was arrested in Yelwan-Bassa village in Kokona Local Government Area following a report of the incident, DailyPost. He said the suspect had confessed to the crime and expressed remorse over her action. The PPRO said investigation revealed that Aisha, who is the second wife of Alhaji Isah, was always at loggerheads with the first wife, Maimuna, and that all efforts by their husband to settle their differences proved abortive. The PPRO said Aisha claimed that the first wife was always instigating her children not to run errands for her, a development that infuriated her since she had no child of her own. She said she had given birth to a baby girl in 2016, but the baby died after six months. Idirisu said Aisha had thrown baby Baaba into the well in April but since no one saw her, the family believed the baby accidentally fell into the well and died. On August 26, the police spokesman said, Aisha raised alarm that another child, Zainab, had fallen into the well and the husband dashed into the well to rescue the baby. He said the husband brought out the baby dead, with her hands tied, which drew suspicion from the family and villagers leading to the arrest of Aisha. According to him, Aisha later confessed to the crime and also accepted responsibility for the death of baby Baaba in April. The PPRO said the suspect would be prosecuted as soon as investigation into the matter was concluded.